The Programming field has become too broad and confusing. There are tons of programming languages, frameworks & libraries being released or getting upgraded to newer versions every other week. So how do you pick what to learn and pursue? Here are a few tech trends that early adopters have already picked them and you can too. What makes programming so powerful is the leverage it has over technology. The hottest topics trending right now, like cybersecurity and machine learning require in some way or another, programming knowledge. New Java frameworks like React have become popular and the availability of React JS and Java tutorials has helped the community learn faster. So in order to give a precise forecast about the future of programming in 2018, we need to take a deep dive into the technology trends. We are soon hitting the barrier of Moore’s law. Transistors becoming faster and shrinking everywhere is no longer that easy. The smaller they get, the harder it becomes to manage them, cool them off. They are entering the quantum realm, where they might not even work as switches anymore because of the tunneling effect.So it will not be that simple to upgrade to a faster processor. But that’s one of the reasons we have cloud computing in the first place. With cloud computing, your processor’s job is no longer to do the heavy lifting, but just the displaying of the results. If every time you search on Google, your processor had to do the operation, you might have found the real answer to your question faster than your processor would. Google’s speed is due to the number of processors they dedicate each time to make a search, sometimes a hundred at once. That’s why the industry needs professional cloud engineers and programmers to smartly deploy the right amount of computing power at once for a user, and above all, maintain that service. It’s all about finding the algorithms that will allow you to harvest the full power of cloud computing while being efficient with the resources you have. The applications of Big Data are driving the demands in almost all industries. Whether we’re talking about security, healthcare, banking, energy or retail, Big Data is there. And it’s no longer just about analyzing the data. As the field is taking more of a visualizing approach and leveraging the power of the massive amount of data at hand. Companies around the world are moving to more agile methodologies of leveraging the power of big data. The new business driven approaches do not stop at analyzing the data but rather attempt to make predictive models. That allows the company to stay ahead of the customer’s needs and create and maintain their business value.Of course, it comes with its own set of challenges and responsibilities. We are talking about the management, storage, and security of the large amounts of data, among many other tasks. It’s a long list of responsibilities and tasks that will keep programmers’ hands full. 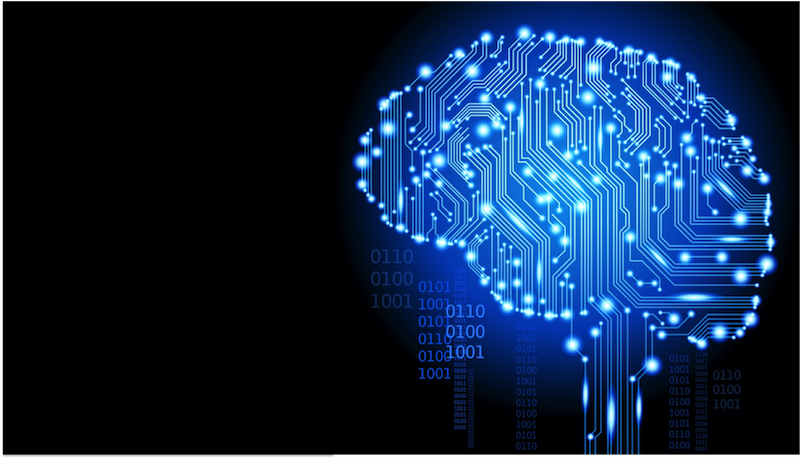 We are not there yet, but soon, AI and Machine Learning algorithms will be a standard feature of any business. The users expect that the piece of software they’re using should know everything and let them do anything. It’s a concrete fact that the use of Machine Learning algorithms to offer cutting-edge solutions and attending to customer needs will become a must and not a luxury. However, businesses are coming to acknowledge the fact that it’s not an easy task to implement Machine Learning in their solutions. Development of languages like R are making data science and machine learning easier to implement, but we’re not at the point where you can talk casually about it. The fact that we have these large amounts of data brings us one step closer to an AI-driven world.Researchers at Microsoft, Google, MIT and many other places around the world are trying to create an AI that writes codes by itself. Although we don’t know how close are we to getting this, given the development pace of AI. It’s some sort of a scary yet interesting idea all at once. We are talking about the transmission of a large amount of data over the Internet. The data could be personal and even critical. It’s like you’re putting someone in charge of your life (not as bad as it sounds). Also, attacks via the IoT’s weak security are going to become more popular among attackers, which makes the situation worse. That’s why Cybersecurity is becoming a major field that will reshape the future of programming. Cybersecurity jobs are going to witness an increase of 28% till 2026. Let that sink in for a second.In one report, US citizens stated that they are more concerned about email hijacking than they are about break-ins. The increase in cybersecurity jobs is the answer to the rising demand for decentralized trusted security systems on the web. The Internet is now flooded with ethical hacking courses to fight against the dark forces of hacking. Open source has become a general concept that’s not exclusive to coding projects. Many websites and applications are now becoming open source, and it’s starting to touch the user’s everyday life. Programmers in that sense will have to adapt to the Open Source ecosystem and its requirements. Open source will also open the doors for many technological advances like XaaS ( anything as a service) to expand in scope. The emergence of multiple platforms and the automation of everything around us will change programming, as we know it. Fewer people use PCs nowadays, and most people spend their time using their cell phones. Keep in mind that we are starting to bring operating systems to our everyday machines, which will require user interfaces and their own applications. Programmers will need to develop for these new platforms, and many are headed that way right now. However, designing a UI is going to be more of a hefty task, which adds to the challenges programming, is going to face in the future. For example, to design a mobile app UI, you need to keep in mind that touching is less accurate than clicking, among other UX scenarios. Then you’ll have to adapt the facts you have to the development process at hands. Imagine doing this for a microwave or a fridge; things get more complicated and tricky. What does this entail for programming languages? The rising popularity of function programming sprouts from the very need of its techniques. As opposed to traditional programming, functional programming is all about writing declarative expressions and statements, and the evaluation of these expressions. Functional programming contains fewer bugs, is cleaner and more straightforward as it avoids the side effects in traditional code. But most importantly, you can literally use them for anything. Front-end, banking systems, building web servers, analyzing data, you name it. While popularity is not a precise indicator, it casts some light over the future of programming. Python, for starters, has jumped to the first seat in popularity. Python’s easy to learn has a huge community and a large number of resources. It’s also currently being used in most of the technological trends, with many libraries in data science and machine learning. Courses in machine learning from the biggest universities use python as the first programming language. R is quickly climbing the ladder as well. 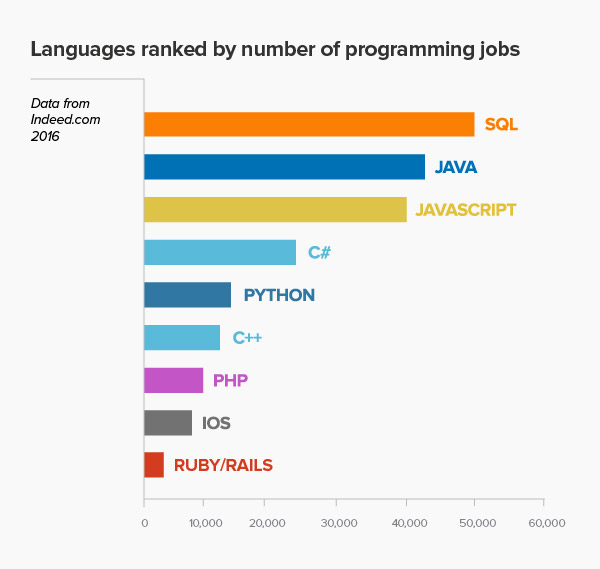 The language used in statistical studies and data mining applications is now ranked among the top 20 programming languages in the world. R is very easy to learn and use in data science and machine learning since it was designed to make these things easier. It’s on par with python in these fields and you will find over a dozen courses that use R instead of Python. With the rise of the internet of things, Arduino is also becoming famous. 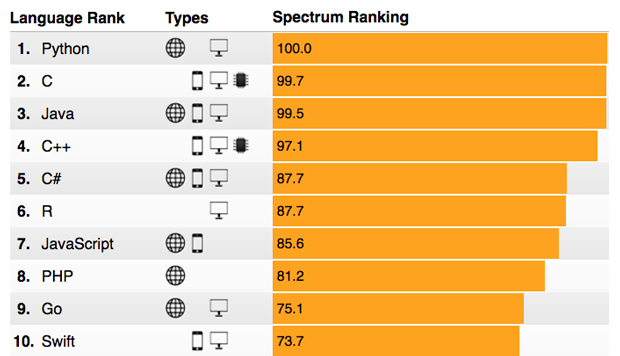 Ranking in the 11th place according to IEEE Spectrum. Since it’s closely related to C and C++, developers may have to love these languages more in the future and use them more often. Changes in the programming field are going to be even faster than before. There’s no saying, which turns it, will take, but the field will keep on evolving to meet the technological demands. Right now, we are headed towards an era where coding skills are essential, and where programming will rule the physical world. Saurabh HoodaSaurabh has worked globally for telecom and finance giants in various capacities. After working for a decade in Infosys and Sapient, he started his first startup, Lenro, to solve a hyperlocal book-sharing problem. He is interested in product, marketing, and analytics. His latest venture Hackr.io recommends the best Java tutorial and online programming courses for every programming language. All the tutorials are submitted and voted by the programming community.